Mother’s Day shouldn’t just be celebrated by those with children already in their arms. The anticipation of becoming a mother is equally beautiful and deserving of recognition. So while those of us with children look forward to hand-drawn cards and cold toast lovingly smeared with Vegemite, mothers-to-be will no doubt appreciate some well thought-out gifts for the coming months. Something warm and comfortable to wrap a growing baby bump is a must for women who are pregnant over winter. Soon Maternity makes pregnancy fashion flattering and fun, and the new season knitwear is a winter wardrobe staple. The drape cardis ($99.95) are a great option as they suit pretty much every body type, as do the boxy maternity knits ($99.95), which will continue to be a functional wardrobe piece even after pregnancy. Some pregnancy wardrobe essentials wouldn’t go astray on Mother’s Day either, and Esprit Maternity does it so well. You can’t go wrong with a great pair of maternity cargo pants ($109.95) for edgy pregnancy style, and we absolutely adore the Esprit Maternity Love Tee for $64.95. Queen Bee stocks a huge selection of Esprit Maternity. A calming candle always gets my tick of approval for gift giving – and what mum-to-be wouldn’t love this gorgeous soy version – it smells like baby powder! 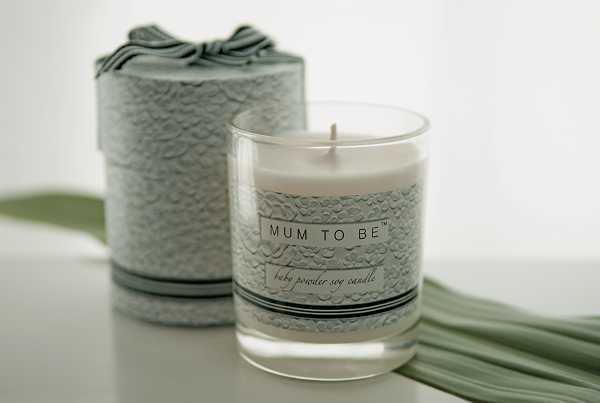 Made from pure soy wax, the Mum To Be Baby Powder candle will burn for up to fifty hours. That lovely, fresh baby scent captured in a beautifully packaged candle costs $39.95, from Mum To Be. Beautiful, stylish and practical – the Olli Ella Mo-Ma Glider is pretty much the bees knees when it comes to Mother’s Day gifts. Destined to become a family heirloom, the Mo-Ma Glider provides a comfy spot for pregnant women to wistfully dream of their future child. And of course, once the baby comes along, it’s the only place to feed and cuddle. Upholstered in stain-resistant microsuede and available in five delicious colours, the Mo-Ma Glider is $1599, from Olli Ella. Pregnant women have plenty to deal with as their body changes over nine months, including the possibility of stretch marks. A little helping hand won’t go astray, particularly something that smells divine. 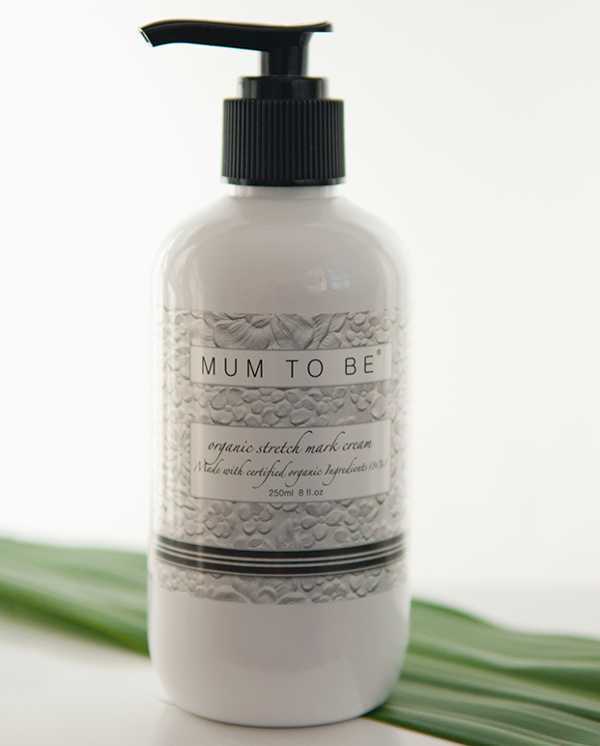 Mum To Be Organic Stretch Mark Cream is aimed at smoothing and toning skin around the hips, thighs, buttocks and breasts. It contains all manner of delicious things like certified organic shea butter, jojoba oil and rosehip oil. It costs $39.95 and is available from Mum To Be. Preparing for a new baby is daunting, so helping future mums to tick a few things off their list can be a sanity-saver. Baby bouncers have stood the test of time as a tried and true way to keep baby happy and occupied while mums and dads are busy with other things. And the BabyBjorn Bouncer Balance Soft is a classic. 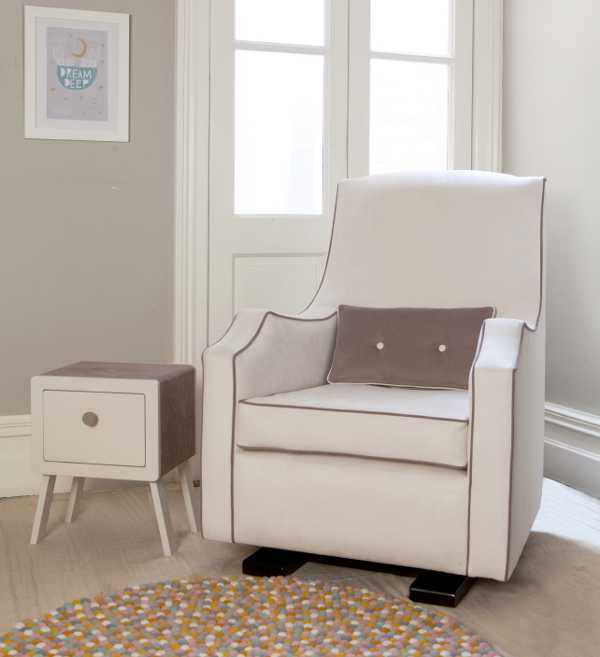 It’s a cosy spot for baby to kick back and the gentle rocking motion created by the baby’s own movement is soothing. The bouncer retails for $199, and you can find a stockist near you at BabyBjorn. One thing I wish I’d done while pregnant was keep a journal. Life goes so fast once babies are born that it’s difficult to remember those feelings of excitement and anticipation in the lead up to births. 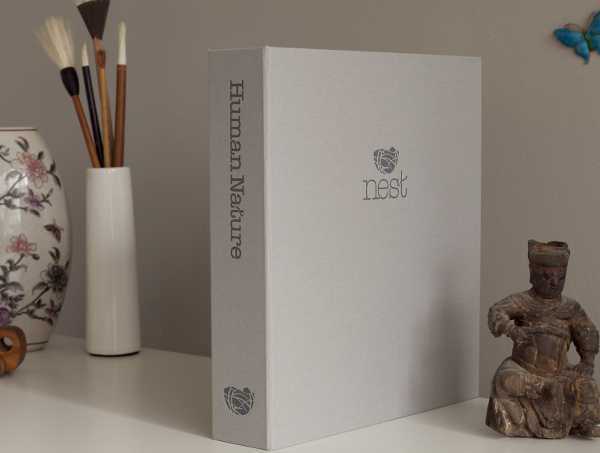 The Human Nature Nest Journal is a beautiful keepsake to gift to an expectant woman. It’s designed for recording and storing memories for children up to the age of five, so it’s a great pre-birth gift. It comes in a handy lever-arch folder which stores neatly on a baby bookcase for display. It costs $79.95 from Curly-Top Creations. I can hand-on-my-heart say I wish someone had given me this book when I was pregnant with my first child. I blindly went into breastfeeding thinking of it as an innate action both my baby and I would take to like ducks to water. That’s very rarely the case, so a good dose of reality is one of the best gifts that can (lovingly) be given to a pregnant woman. Breastfeeding: Real Mums Tell You How is a wealth of practical advice, encouragement and support – without any guilt or pressure. It’s full of useful tips and stories from real mums. It costs $19.95, an e-book version is also available for US$7.99. Giving this amazing carrier to a mum-to-be is like gifting her an extra set of hands. I can wax lyrical about the benefits of baby wearing, but suffice to say anything that can give a mother more freedom and child the comfort of being close to mum is a blessing. The Minimonkey Baby Carrier bears weight on the hips, back and abdomen, rather than the shoulders. And for the ultimate test of longevity, this carrier can be used for newborns, right up to children who weigh eighteen kilograms. It’s available from Kiekaboo for $129.95. Comfort is paramount, both during and after pregnancy. This could possibly be the best combination of pre and post-pregnancy nightwear – the Sorella & Me Organic Nursing Nightie. The pleat detail means there’s plenty of room for belly growth, and the built-in bust support means there’s no need to wear a nursing bra to bed once baby is born. The nightie costs $89.95, from Sorella & Me. A sturdy and stylish baby bag, which actually looks nothing like a baby bag, would surely be on the list of most pregnant women. Tribe Bags’ creations fit the bill perfectly, particularly the Orchard Tote. Creased patent leather means fashion isn’t compromised, while the deep interior filled with pockets makes it a functional bag once baby comes along. Available directly from Tribe Bags, the Orchard Tote costs SGD$549. Swimming during pregnancy (be it indoors while the weather is cool) is not only fantastic exercise, but a great relief to tired feet. And if you can do it in style – more power to you! The Pez Dór Marine Lurex Stripe Swimsuit is just about the sweetest maternity wear for the water you’re likely to find. Oozing glamour and fully lined for comfort, the suit is available from Aqua Maternity for $120. Dads-to-be take note: you simply cannot go wrong if you give the future mother of your child a beautiful yet practical gift for Mother’s Day. Case in point – an Il Tutto Nico Tote Berry. It both sounds and looks delicious! Totally rocking with its bright exterior, yet fully functional with a host of baby-related goodies inside, this bag will put a smile on the dial of just about any mum-to-be. Priced at $249, it’s available from Il Tutto. Finally, a beautiful dress that can be worn pre and post pregnancy will be gladly received by a mum-to-be as a gift that keeps on giving. The Mesop Sahara Drawstring Dress is elegant and simple, with an empire waistline making it easily worn during and after pregnancy. As simple as it is, it’s also a statement piece, thanks to its beautiful hemline and drawstring neck detail. It’s available from Adore Maternity for $129.